My question has to do with borax - is it toxic to earthworms? Because it has many uses around the home and garden I thought I would try it in my worm beds. It appears as though the worms are not fond of it. I feed my worms once a week a mixture of compost, peat moss, tea and coffee grounds, bone meal and about 5 per cent organic layer pellets. I make the compost using horse manure, leaves, grass clippings, rock dusts and shredded garden debris which is used after temperature has returned to normal. I have been doing this for several years and the worms love it. However, at the last feeding I added a small amount of borax and the worms refused to come to the surface as they normally do. Have you had experience with this? Thanks, Rand Berger, Caballo, NM. I will confess. I don't know a whole lot about borax, but I think I know enough about it to want to keep it out of a worm bin and even a compost pile. 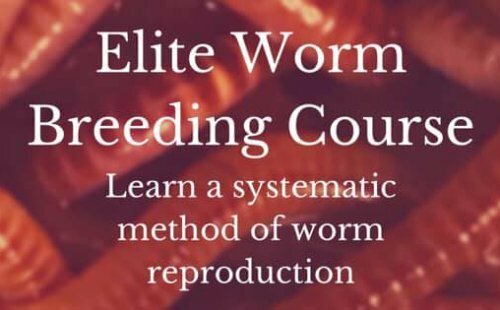 I talk A GREAT DEAL about minerals in the Worm Farming Revolution book (19 of them) and how to apply. However borax is one that I would just stay away from, as far as adding to soil for soil health or composting in any form. In my "small" amount of research. The first word I came across was sodium. Sodium isn't always a "bad" word, when it comes to composting, but I DO know that worms do not like sodium. I'm familiar with the term "In Moderation" and there's nothing wrong with sodium or salts in very small amounts. BUT I really never see the purpose of adding sodium compounds in any form as it impedes the process of composting, ESPECIALLY when composting with worms. These microbes are responsible for breaking down the material and is the source of food for the worms. I can also see why worms would find it irritating. If you want to remove it, maybe a series of rinsing would be beneficial. If you really want to add boron to the soil then using a mineral like, Azomite or Diatomaceous Earth would be very beneficial to compost piles and worm bins. I know how irresistible it can be to want to use things you have lying around the house in the worm bin. Sometimes we also just think that it's something the soil can benefit from, but in this, circumstance, it gets a big NO! from me.